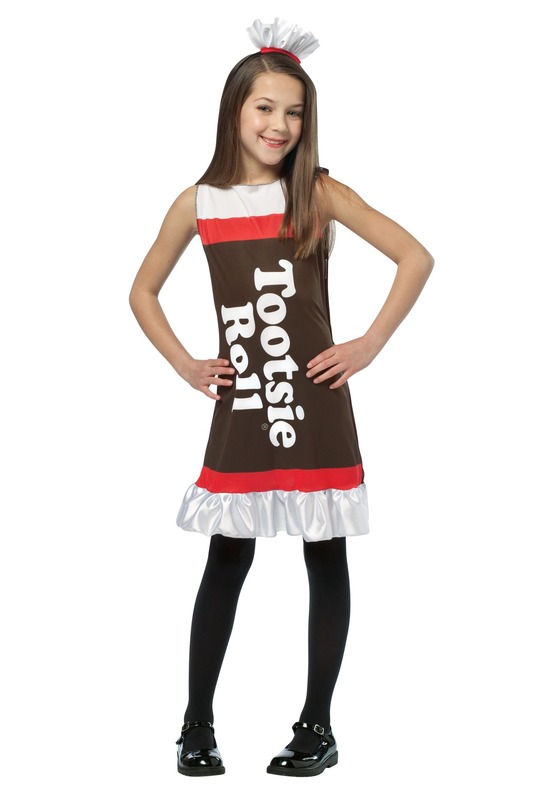 This Girls Sweet Tootsie Roll Dress is a cute, no-fuss Halloween costume! It's a tank-style sleeveless pullover dress of polyester interlock knit. 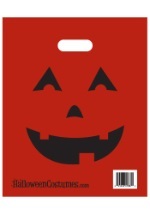 It's mostly brown, with the Tootsie Roll® logo printed on the front. The front yoke is white interlock; below that is a strip of red interlock. At the bottom of the dress there is another strip of red interlock, and then a shiny white tricot ruffle aroung the entire hemline. The headpiece is a white tricot ruffle attached to a clear plastic headband. Just add tights and shoes, and she's ready for trick-or-treating!